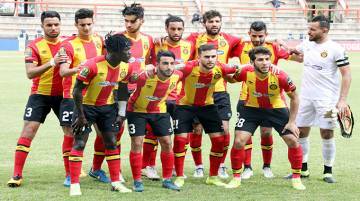 TWO ferocious strikes in either half of the game were all what African champions Esperance Sportive de Tunis needed to punish wasteful FC Platinum in an exciting last Caf Champions’ League Group B match at Barbourfields Stadium yesterday. Mohammed Amine Meskini found the opener for the visitors eight minutes into play after he unleashed a stinger a few metres from the centre line to beat a badly positioned Petros Mhari who was in goals for the platinum miners. Meskini’s goal came after towering FC Platinum defender Lawrence Mhlanga had fouled Junior Lokosa in the seventh minute. From the resultant free kick, the former’s effort went past a four men FC Platinum wall to beat Mhari on his left side. 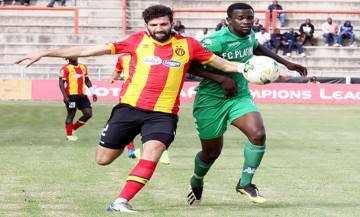 However, the goal did not dampen Pure Platinum Play’s spirits as they played as a unit only to be found wanting on the final third, the chief culprits being Ali Sadiki, Rainsome Pavari, Never Tigere and stocky Thomas Chideu who even failed to bully the Esperance rearguard with his imposing body frame. After the breather, interestingly, Sadiki, whose brother Tapuwa Kapini — then with Highlanders — donated a goal to Esperance way back in 2003 following a goalkeeping howler at the same venue and in the similar contest, found the equaliser for the hosts in the 63rd minute. This was after Esperance goal minder Moez Ben Cherifia had found a William Stima free kick, from outside the 18 yard box too hot to handle. Sadiki quickly reacted to nod the ball home and with Cherifia and his teammates crying foul, Botswana referee Joshua Bondo could not budge. 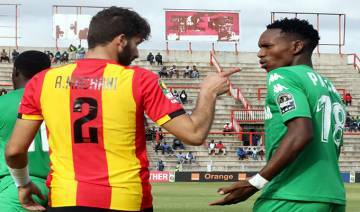 So motivated were Norman Mapeza’s men that they began to trouble the Esperance camp with nice build-ups that saw seasoned substitute Charles Sibanda combine well with Sadiki and Tigere only to be eluded by that killer punch. Against the run of play, the visitors, who flew to Zimbabwe, with 13 infield players, two goalkeepers and under the guidance of club’s assistant coach Othman Najjer, got their winner from the boot of substitute Edem Rjaibi in the 84th minute. Rjaibi, who came in for Lokosa found the back of the net with his first touch on the ball that beat a diving Mhari. It was after the Tunisian forward had made a solo run in the process getting the better of Stima and Mhlanga who were in the heart of FC Platinum defence. 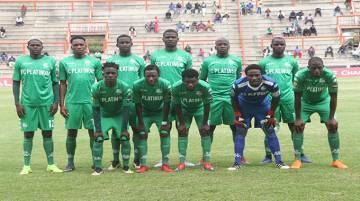 The loss to African Champions saw FC Platinum finish the group stages with a paltry two points from six games. 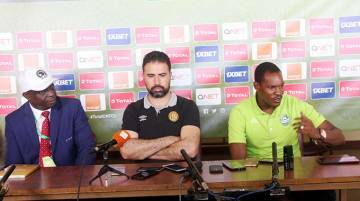 “We started this campaign with an objective to do well. It was a good experience for us and we are ready for the local league action which begins in two weeks,” said Mapeza. Mapeza’s opposite number reckoned their decision to bring an incomplete playing squad to Zimbabwe was meant to give other players game time, adding that the reigning Zimbabwe league champions are an organised lot. “It was a miraculous win. As a club we have different objectives. We usually engage in many games so we gave a chance to other players. They need game time. Every player in our team deserves to play . . . Platinum are a well organised side. They play British kind of football,” said Najjer. 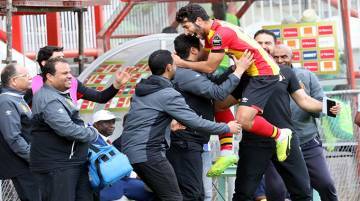 The Tunisian giants, who are the defending champions, progressed to the quarter finals with Horoya Athletic Club of Guinea who beat South Africa’s Orlando Pirates 2-1 in Conakry yesterday to finish second in the group behind Esperance.